WOW!!!! Great offer for you! 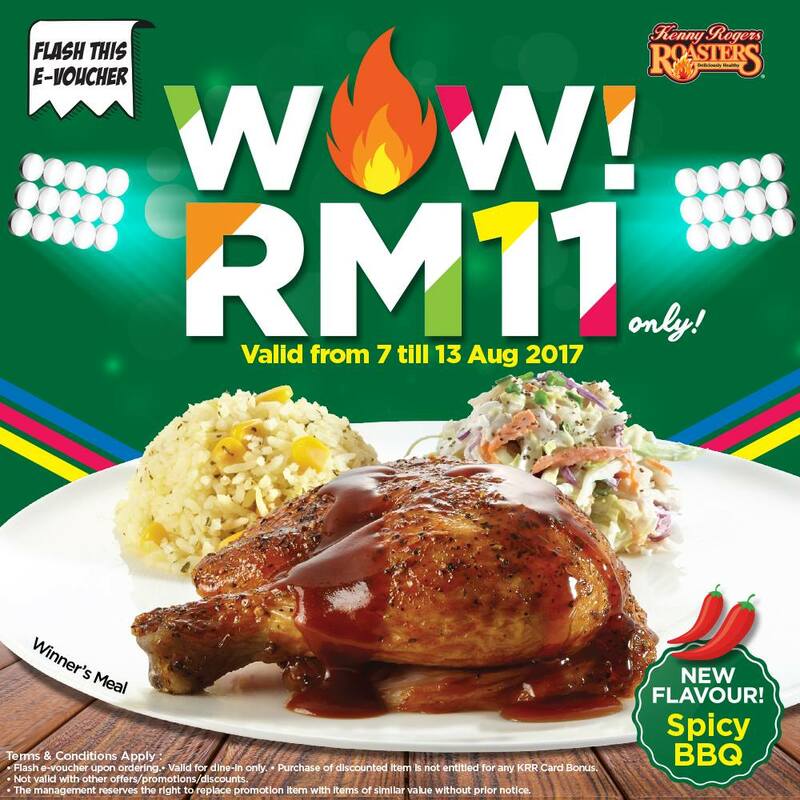 From 7 till 13 August 2017 (7 days only), enjoy Spicy BBQ Winner's Meal at RM11 only! P/S: If you're a spicy food lover, you must try it! Winner's Meal offer is valid for Spicy BBQ only. Valid for dine-in only. Not valid for take-away, catering or delivery. Not valid with other offers/ promotion/ discounts. The management reserves the right to replace promotion item with items of similar value without prior notice.